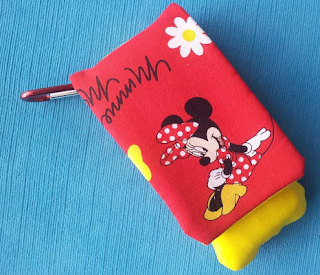 Wave Phone Holders - If you need more information on what these are, you can see my previous post Top 5 Disney Necessities. Basically these are simple holders for a phone that Disney provides which is a cross between a cell phone and an old wireless home phone. You could make these or various stores make them for you. However, this would not be an inexpensive FE, especially if you are participating in a large FE group. Hand Sanitizer - We're going on a Halloween cruise so this made finding fun, appropriate hand sanitizers a little easier. 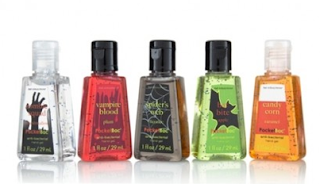 There is usually a Pirate night so there are some hand sanitizer that fit that theme . . . and if you search hard enough you can even find Disney themed hand sanitizer. I bought mine in a lot of 25 for $18 including shipping - well before Halloween season. During the fall, they sell for as much as $2.15 each. 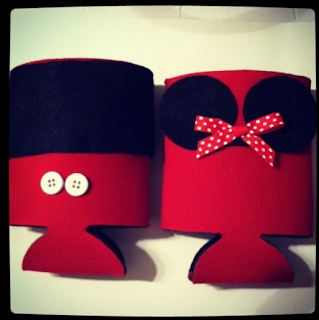 Mickey & Minnie Koozies - How cute are these? Fun, easy, useful . . . and something that you can lay flat to pack. These would make incredible Fish Extender gifts. These came from MelsMickeyKoozies on Etsy. 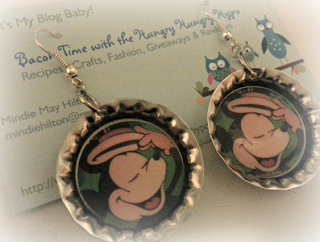 The pair is $4 so you're looking at just $2 per gift. 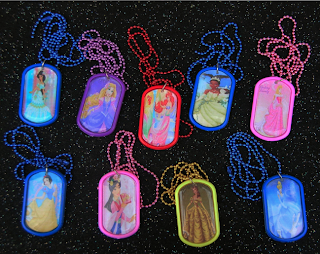 Disney Princess Dog Tag Necklaces - I know some girls who would love these! Buy more than 10 and you can get them at $3 each. Pirate Golf Balls - Sometimes men are the hardest group to find fun FE gifts for, but this is a great one. You can buy golf balls with these pirate logos on them for each of the men on your list. 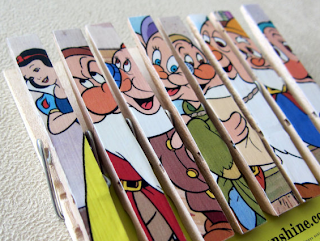 You might even be able to find some with more specific Disney images, as well. Please share anything else you've found that would be a great FE gift. I want to know!